Happy Thanksgiving, all! Today I am thankful for all the love and joy that I have received this year, and especially in the last week. PhilCon was a lovely time, and the folks running it were all wonderful. Plus I got to see some old friends that I hadn’t seen for decades, which was lovely as well. And now I want to pay that love forward, by talking about a new debut that you should put on your radar. 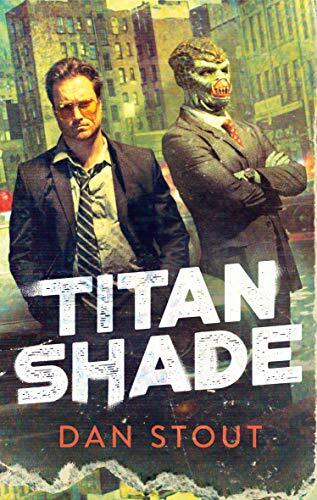 I am talking about TITANSHADE by Dan Stout. This book looks like a heck of a lot of fun. When I read the description I jokingly called it Scorcesepunk, but it is a secondary world fantasy of tough street-cops in a world of 8-tracks, disco and sorcery. It looks like everything you wanted Bright to be if it had been made in 1976. I am deeply excited for this sucker to come out, and it will on MARCH 12th, 2019. So GO PRE-ORDER THIS BABY. Happy Thanksgiving! Give thanks, read books.